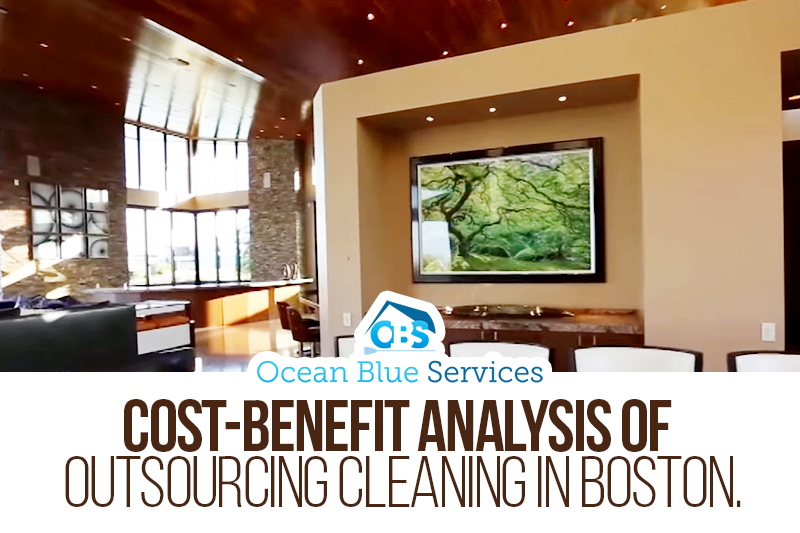 When it comes to the best cleaning services in Boston and in the greater Massachusettes area, we at Ocean Blue Services LLC take pride in making your life easier by being your first and best choice. We are able to provide for our commercial and residential clients not only because we hold in utmost regard excellent service and reliable cleaning personnel, but mainly because we make sure to listen to particular and individual needs and address them immediately. Some people may still have doubts about outsourcing to us professional maid or cleaning services. Perhaps we may be able to assist you using evidence-based outsourcing decisions made by doing a side-by-side comparison of whether cleaning outsourcing services offers better “value for money” compared to insourcing. Value of the service – Importance of cleaning services to the client. Costs of outsourcing vs. Insourcing – This includes time, acquisition of equipment and other cleaning effects, manpower, etc. Quality of personal or professional life – Has the client’s standard of living or conducting business improved? Ease in collaborating requirements – Determining whether cleaning needs were efficiently and effectively met and were beneficial to both client and service provider. Other benefits – Was outsourcing cleaning services more cost-beneficial compared to insourcing? The results of the extensive research show that of the 5 criteria, outsourcing emerged more cost-effective compared to the do-it-yourself style. From the conclusions of worldwide studies on outsourced cleaning services, we developed a very stable foundation in which managerial skills of all our meticulously chosen cleaning professionals are nurtured, client-service provider values are cultivated, quality monitored streamlined operations are maintained and a dynamic approach to delivering cleaning services is given focus. We’ll be more than happy to assist you in tailor-fitting our services to your personal cleaning needs at the best cost-beneficial rates. Just give us a call at our 24/7 service hotline (617) 929-5002. We most definitely look forward to this personal approach. Likewise, we encourage you to give our website a tour. A click on a service or a link will give you a better idea of what it is we have to offer. We assure you of the most modern cleaning practices at the most affordable prices in the Boston and greater Massachusettes area. After all, we at Ocean Blue Services are in the business of making your life easier.in the business of making your life easier.